With winter in full swing there truly is another kind of local playground just waiting to be explored on the North Shore (with baby in-tow too). 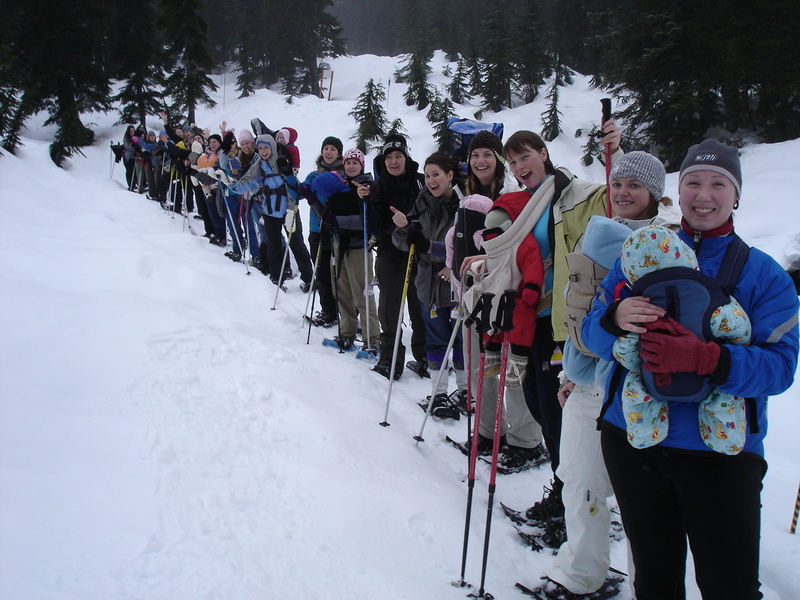 A recent trek out of the city found us at North Vancouver’s Mount Seymour for a fantastic 90-minute guided Baby & Me Snowshoe Tour with our little ones where we discovered a fantastic way to spend quality time with our tots in the beautiful outdoors. A quick trip over the Lions Gate Bridge all but had us to the top of Mount Seymour Road where our guides were waiting in less than 30 minutes (traffic will depend). Parking was a cinch, and we had prepared all our gear and dressed accordingly thanks to the helpful tour tips and Baby & Me FAQ . Parents need to keep in mind that the tour is about 90 minutes in length and requires that you be able to comfortably carry your baby in a back or front facing carrier. If you don’t own a carrier, the mountain does have a limited number available for demo. After ensuring our little ones were properly tucked in and layered up for the tour we strapped on our snowshoes, grabbed provided poles (recommended if its you’re first trip with baby) and headed out to explore the trails with one of the mountains seasoned Outdoors Education specialists. The tour itself is relatively easy with not too much up or downhill involved – be mindful of a few areas where you’ll want to take it easy (poles!). Our friendly guide didn’t rush us and made sure to stop for breaks, taking time to point out local flora and fauna native to the region. Aside from the fact that you get some precious bonding time with your little one, perhaps the best part of this tour is the fact that most babies simply fall asleep (ours sure did) thanks to the lull of footsteps and tranquil snow-covered surroundings. Bonus takeaway for parents: you get to squeeze in some outdoor R&R while exchanging parenting adventures with new friends! The winter playtime fun didn’t end when our tour wrapped up though as we were invited to linger indoors for additional playtime accompanied by complimentary tea and snacks.This was the perfect way to wrap up our snowy adventures (and do a quick diaper change) before hopping back in the car, exhausted and making our way home. Tour Schedule: From January 7th to March 31st. Every Thursday at 11:00am. 1. Book ahead and be sure to call before leaving for the tour to ensure it is indeed running (weather can be a factor). The mountain has a 24 Hour Snow Phone (604-986-2261) with the latest updates. 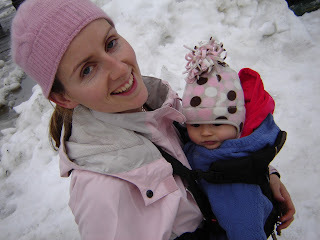 Read the Baby & Me FAQ section located on the Mount Seymour website. 2. Be sure to dress your baby in layers to ensure they stay warm and cozy for the tour. Of course: have an extra outfit handy just in case of an accident! 3.Bring easy to access snacks or a bottle – always good to have if your little one gets a bit fussy during the tour. 4.Give yourself lots of time to park, get organized and dressed. Tours generally start at 11am each Thursday – but the staff are incredibly accommodating and understanding!